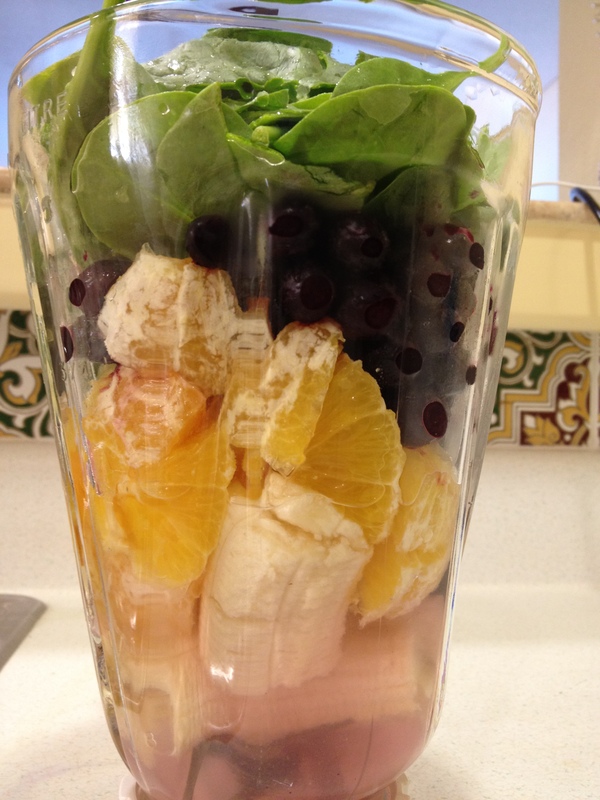 Nourish the cells in your body with this whole food Power Smoothie! It’s quick and easy. Place 1 cup water in a blender, add 1 banana (can be frozen), 2 peeled oranges cut into sections, 1 cup frozen blueberries, and 2 cups spinach. Ooh, I wanna try that!